A breakdown of the Nigeria Customs Integrated System (NICIS) 2, which is a central server, has affected cargo clearance at the Apapa, Tin Can Island, and KLT ports in Lagos. Speaking at a round-table meeting organised by the Maritime Reporters Association of Nigeria (MARAN) in Lagos on Tuesday, the Customs Area Controller in charge of Apapa Command, Jibrin Musa lamented that it has been difficult to work since Monday. Jibrin who was represented by Yahaya Mukhtar, Officer in Charge of Customs Processing Centre (CPC) Apapa described the challenge as system errors experienced in the execution of the NICIS 2. He called for stakeholders understanding of the situation, even as he called on importers to always make correct declarations. He said that wrong declaration and infractions if major cause of delay in cargo clearance. "Since on Monday, we have not been able to access any work, importers have been able to capture any job, it means they have to start capturing tomorrow and taking delivery, it means another one day delay." "We have held a meeting with the NICIS 2 team on some of the system errors, the NICIS 2 is a new platform and I am sure we would overcome it"
Jibrin however assured that the server failures would not lead to revenue losses for the command. He said that at the moment, the Apapa port had only one scanning machine and that this was not adequate for the backlog of containers. "The scanners are not working, and we have only one scanner that is working in Apapa, at Tin Can and other areas we do not even have any, but in Apapa we have one that is functioning." 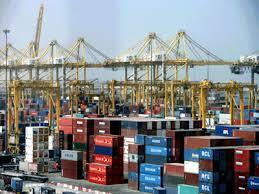 Musa also said that the state of the roads have also posed a challenge to the Apapa port operations.